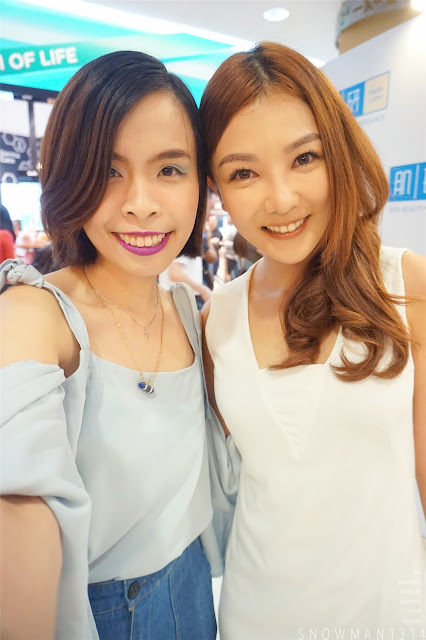 Hada Labo's 'My Skin Beauty Confidence Campaign' which is now entering the second phase since its launch, culminate with its featured celebrities namely Jojo Goh, Chris Tong and Daphne Low reaching out to the public in sharing about the importance of having good skin and how that can increase one's self-confidence. The campaign kick-started with a viral video in August 2016 which aims to share the secret to feeling confident about oneself that is by maintaining beautiful skin. A total of six celebrities were featured in this campaign video which also included Ekya Farhana, Atikah Suhaime, and Azira Shafinaz. I am glad to be invited to witness and know the beauty secret of this 3 beautiful local artist their beauty skin secret. 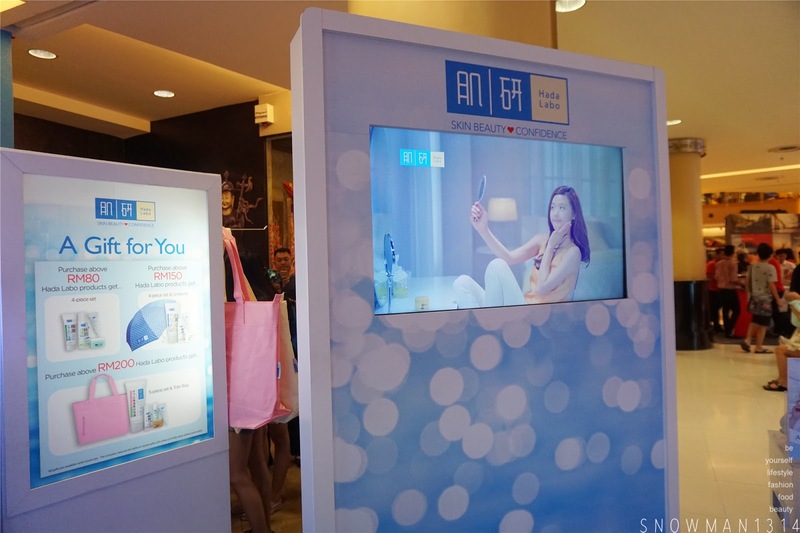 The event was held in front of Watsons at Sunway Pyramid. 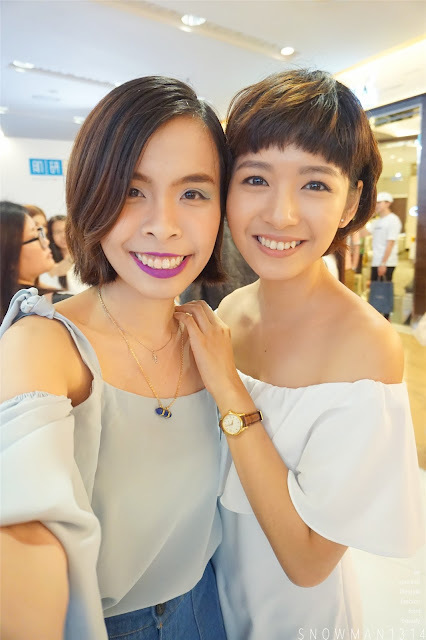 This event which was held in collaboration with Watsons saw the participation of mostly women, listening eagerly to the tips and experiences shared by the trios - Jojo, Chris, and Daphne. According to Jojo, when you have good skin you do not need to rely on makeup. Chris shared that with proper hydration your skin will have lesser fine lines while Daphne feels that her skin looks brighter and healthier when hydration is at its optimum. With good skin, women can leave their homes confidently without makeup and still be complimented for their beauty. 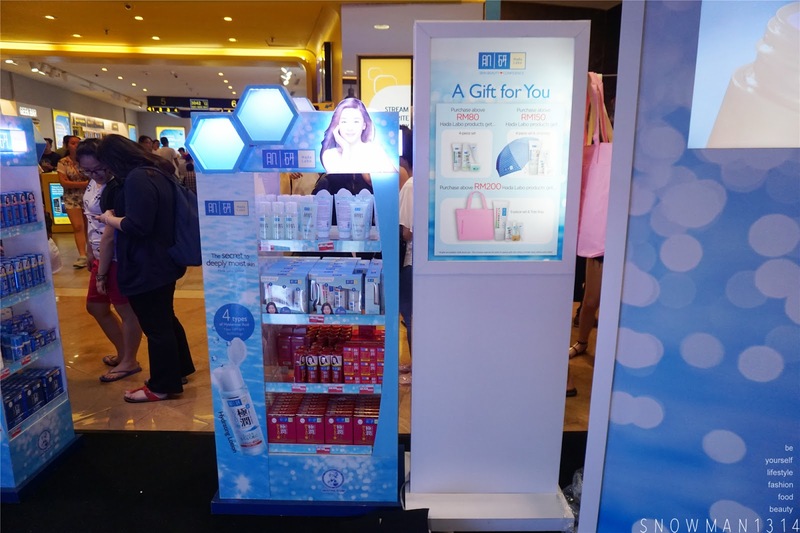 Jojo, Chris, and Daphne said that they have only good experiences to share after using Hada Labo products. Jojo said the most important skincare routine to her is hydration as her skin feels tight and dry after cleansing and in her opinion, skin problems will be reduced if the skin is hydrated. 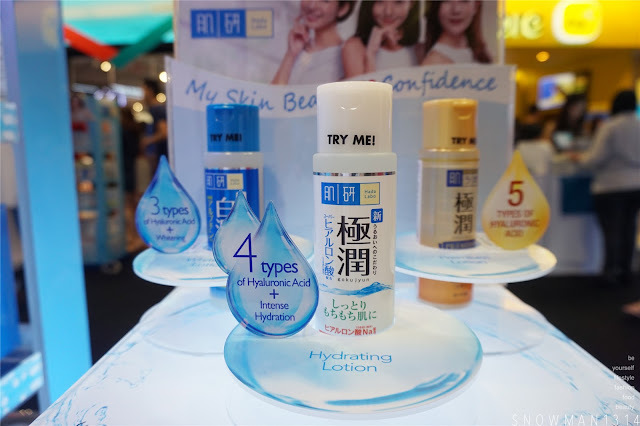 "Upon using the Hada Labo hydrating lotion, my skin feels hydrated instantly. My skin feels smooth and moisturized," said Jojo. Chris is also the same opinion that the skin must be well hydrated in order for the skin to feel smooth and moist. " Fine lines appear when the skin is dry and not well hydrated. Therefore pouring Hada Labo Lifting + Firming Lotion and patting it on my face, instantly hydrates and lifts the skin," said Chris. Daphne said her skin became more hydrated and her complexion brightens making her makeup more lasting than before. All three agree that the lotion must be used as the first step after cleansing to achieve moisturized skin. From far you can see that each of their skin looks so flawless and pretty! I love how all of them sharing their beauty secret in this session, plus they are really happy and feel confident about their skin condition after using Hada Labo. From Left: Jojo, Chris, and Daphne. Jojo looking so flawless and pretty, Christ with a really mature elegant look and Daphne looking so cute her hairstyle. I am really inspired by their sharing and can't believe that Hada Labo Lotion had really helped them a lot in their busy working life. Life as an Artist and Actor is definitely not easy, maintaining a healthy and beautiful skin is really very important too. Next, each of them will pick 3 lucky draw winner for prize giveaway! Group photo with the VIP. Inspired by the sharing of the celebrities, Hada Labo fans were then encouraged to share their 'Skin Beauty Confidence' stories on Hada Labo's social media platforms. All the top 9 fans are here today joining Hada Labo Skin Beauty Confidence campaign by sharing and posting their picture in instagram. 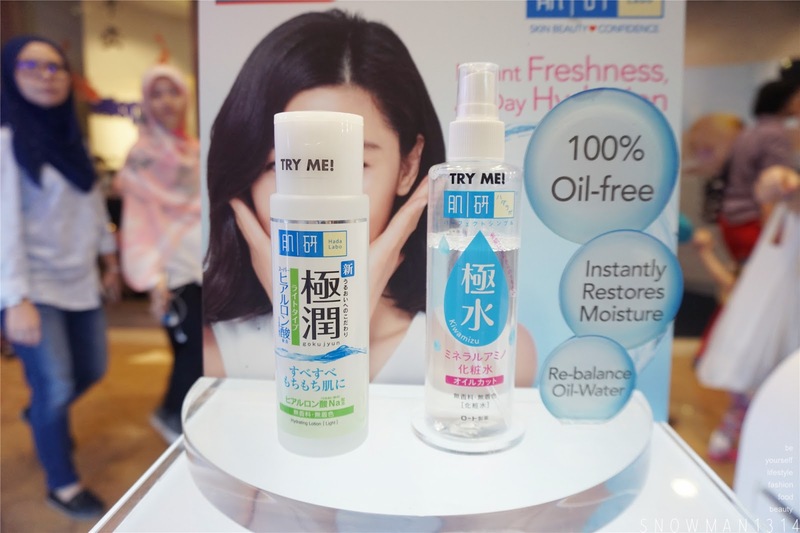 Each of them is here and share their testimonial of using Hada Labo lotion. Even one of them shared that her skin was really sensitive and are not able to retain any skin care products. But when she started using Hada Labo, she finally found a solution and able to continue to use Hada Labo products for more than 5 years. Not forget to selfie with these pretty ladies before they leave. Besides that, Hada Labo having promotion and discount price on that day too. Promotion price where you can save up to 30%!! 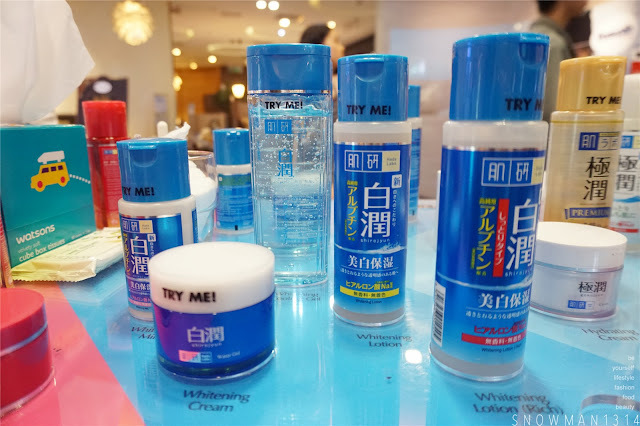 They have total of 3 series, Whitening, Moisturizing and Firming series of products from Hada Labo. Hada Labo Water Lotion is the best seller products among all the products. With contains up to 4 types of Hyaluronic Acid in one bottle that provides intense hydration and lock moisturization on our face. Top seller in Malaysia for 2 consequtive years, and their toner is the Top 1 toner in Japan for 8 consequtive years!! It's never too late to know and experience using Hada Labo products.
. 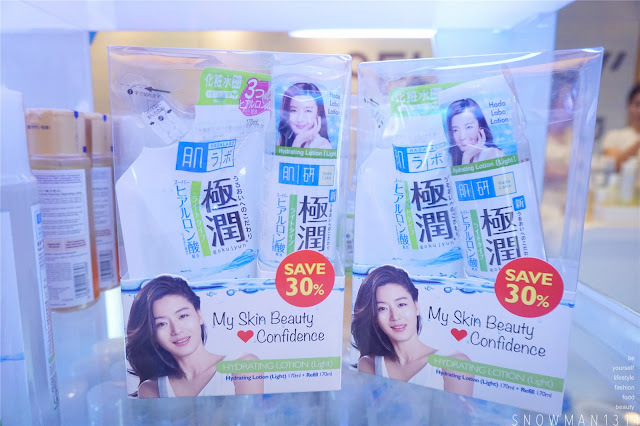 The campaign ended in September but Hada Labo hopes to continue inspiring more women to stay beautiful and be confident by maintaining good skin. I dont use hadalabo but my sister does.maybe I should give it a try haha. yes! you should love =D Thanks!! interesting that I've heard of this brand before.. nice! hado labo.. beautiful ladies there at the event. Wow I was really looking forward using Hada Labo products even more now! The three local artists are simply stunning. Its remarkable that they are sharing their experiences using the Hada Labo product. Wow! Great promo for the product! Will check out when it is launched here. Hada Labo lotion, my favourite lotion/ toner, its really help in moisturising and can have instant effect. 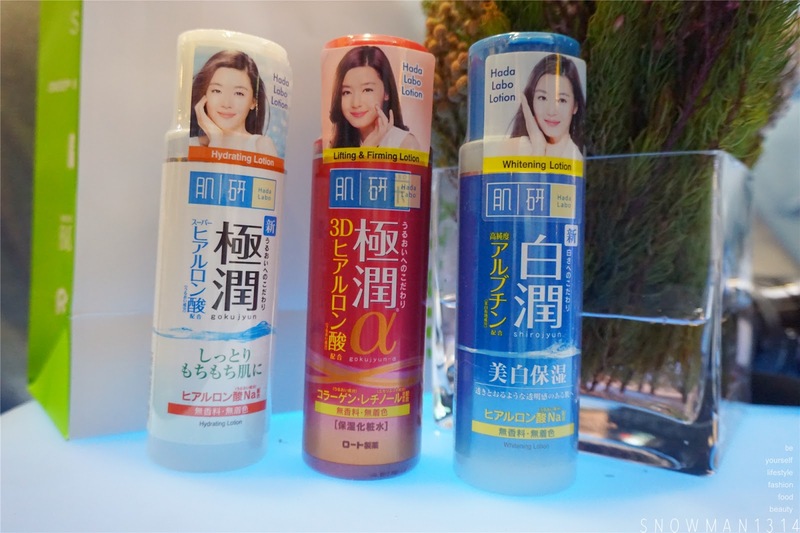 I've been wanting to try Hada Labo products but haven't found here in the Philippines. Do they ship overseas? not bad, one brand can last very long! shared one bottle with my sis last time. I love HadaLabo. My Sis especially only use nothing but HadaLabo for many years now. I heard so many woman out there love using Hada Labos products only!! Hada Labor still my preference. It gives a new life to my skin. Love it. Hada Labo really very moisturize! !Love this product so much!! I can't use this brand as my skin is quite sensitive :( but glad it helps other women out there though! I want to have a smooth skin too. Will try Hada Labo Lotion this weekend. Great brand great event... Looks like u enjoy it very much!